Stone Fabrics was established in 1997 by Jane who was frustrated with the choice of natural fibre quality dress fabrics available to dressmakers and sewing enthusiasts. In a bid to stop her mother’s moaning Bess suggested she open a shop herself, and so the shop was born. Now the pair run the shop together with the ethos to inspire with a wealth of top quality, one-off and unusual fabrics and provide personal help and attention. We are striving to get as much stock on the website as possible but it is a Sisyphean task. If you have a particular request and can not find it, please ask and we will be delighted to help you. Unsure if we are the kind of company you would like to deal with? The fabric I ordered yesterday has just arrived. Brilliant service!! Thank you so much for the fabric I received this morning. In spite of not getting a sample it was exactly what i was hoping for. I just wanted to let you know that I received my fabric today and am delighted with it. All three fabrics are exactly as you described them. I just wanted to thank you for such great service and speedy delivery. I will be ordering from you again. Just delighted with my fabric delivery today. You couldn’t have been more helpful whilst I was ordering with matching, haberdashery to match too. It’s so difficult to find fabric suppliers up here in the north east of Scotland. Ordering online isn’t always the best and with your super fast swatch service I had all in needed in a week. Will definitely order again for future projects. Just to say a big thanks for sending my needlecord fabric so quickly. Its absolutely lovely! Will be placing another when I get paid next week. Excellent service and lovely fabric – thank you. I rang on Saturday morning and placed an order which arrived this morning(Monday). Beautiful fabrics! I am very impressed and delighted that everything arrived so quickly. Many thanks and best wishes to you all. Wow wow wow!!! I’m absolutely delighted with the fabric!!! It’s just what I wanted – you weren’t wrong when you said it was destined for a bridal gown. Thank you so much. Hi Stone fabrics, just to say the fabrics arrived this lunch time, super fast and they are excellent; just what I wanted. Thank you for good service. Hi, I ordered some fabric on the 19/7 and received superb service from Bess. She gave me excellent advice to put an invisible zip in, helped me with some bias binding not online but just perfect. I also ordered some white denim cotton and silk mix that had a mark on it and she said if it didn’t wash out she had some at home she could help me with…..what a star. The fabric arrived within the day, stain washed out and the fabric made up like a dream…..oh and the zip went in perfectly. I visited your wonderful shop on last rainy Monday – no amount of rain could dampen my mood following my visit – one of the highlights of my holiday. In my excitement I forgot to check the fibre content of the fabric I bought so I was so pleased to find the care instructions attached to each of the individually wrapped pieces. I haven’t sewn for years due to the lack of fabric choice so finding your shop has reignited my interest in dressmaking. ‘This could be the start of a beautiful friendship’!! This morning I looked at your ‘catwalk‘ section for the first time and i know it will inspire me to get back to the fun and freedom of sewing my own clothes again. I received my parcel of fabric this week and love all of them. 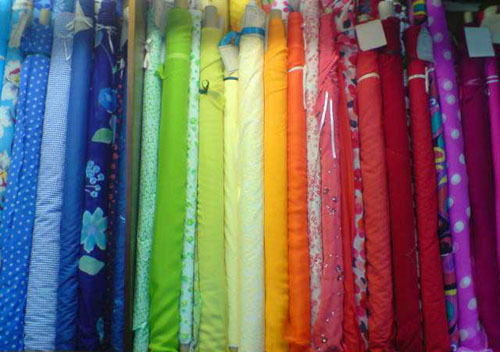 You have a fabulous selection of fabric and your customer service is faultless. All fabrics beautifully presented as well – very professional. I buy fabrics regularly on-line and it is never a good experience from other retailers. They can be some of the rudest people ever and fabrics not presented well when delivered so it was a joy to receive my stash of Stone fabrics. You guys are amazing. Thank you so much , it is a pleasure to buy from you, I’ll be back! Thank you to the staff at Stone Fabrics, great customer service. Amazed that the samples arrived so quickly and just for the price of a couple of stamps. Then my order arrived promptly the following day. Really pleased with the colour and quality…Look forward to my next order. Well, I was a little dubious about having to call to order in these days of the automatic internet processes, but now understand why this is important! I got good, helpful advice, and was able to order just what I wanted as a result. Thank you for the lovely fabric, delivered before schedule. The lovely packaging and attached washing and use instructions are a great detail. I phoned you yesterday about brown satin, and it has arrived TODAY and is EXACTLY the right colour. So thank you very much for good service and well done. I made a skirt out of your tartan woven silk dupion for Burns Night. I was very pleased with it and was impressed by your prompt and excellent service in sending me the swatch and then the material I chose. Thank you very much. Thank you for the samples which arrived today. I have just placed an order by phone for 6827. Your friendly, prompt service is much appreciated. I received the fabric today and it’s great! Thank you so much for such fast postage and everything else, it’s been a pleasure! I just wanted to say ‘thank you’ to the lovely lady who served me last Wednesday. I came into buy some sequinned velour which had sold out, I chose some embellished black jersey instead. The pattern said I needed 3m but there was just over 2 which I took anyway and you very kindly gave me the sample piece too. I laid it out that evening and because you so kindly gave me the sample piece I managed to get the whole dress out of the fabric. Thank you, thank you, thank you  I come from Taunton so don’t get to visit that often but every time I do the customer service is second to none. Thankyou for the velvet fabric which I received this morning – it is just what I wanted. It was very kind of you to send me extra length and I am sure I will be able to work around the couple of faults. I am going to make a special dress for my Ruby Wedding next year and the raspberry colour is one of my favourites. The pattern I am hoping to use is Butterick 6018 or Butterick 6130 with a longer sleeve. I always make a toile first as I find the fitting is one of the most challenging things when making your own clothes. Thanks again for the excellent service you provide. Thank you so much for all your help yesterday. The two coat linings arrived safely this morning along with the shoulder pads. You were absolutely right in your analysis of the colours (I chose the pewter one but both are lovely) and your help and speedy service are exemplary. I’m sure I’ll be back for more. Thank you so much for sorting my request – my parcel arrived safely today and I am thrilled with everything in it. I will definitely be using you again, and I will share my experience with my fellow students on my course. I’ve ordered two lots of fabric from you, including having samples sent out first, and your service and efficiency have been second to none. Thank you very much for making it so easy. Thank you for your advice and help in selecting the “right” fabric yesterday and the speedy dispatch is very much appreciated too! It arrived this morning and is just drying on the line, so almost ready to cut. Just dropping by to say thank you so much for taking my little order this morning. It is do refreshing to deal with a company who are both professional,knowledgeable and friendly too. Looking forward to doing more business with you. Just to say an enormous thank you, my fabric has arrived swiftly and I am delighted with it. The soft coral shade is perfect and also the fabric itself fine and excellent quality. Many thanks indeed……can’t wait to get creative! A short while ago I requested various samples which were received very quickly. I then phoned through an order for several different fabrics together with lining and interlining. I was most impressed with the friendly efficiency of the person I spoke to. I thought service like this had disappeared! I have just received my fabric order and wanted to say thank you. It is the first time I have ordered fabric from you and I am delighted with my purchases. The fabrics are lovely and the zip is perfect and it all came so beautifully wrapped. I wish I lived nearer to your shop so I could come and buy in person! Many thanks. I have to say that you provide the best service ever. If you have any facebook site or something, I would tell the whole world 🙂 how much I appreciate your servicemindness. I just wanted to let you know that the fabric I ordered from you last week arrived on Wednesday as promised and it’s gorgeous. All the way to Inverness in 24 hours! You also made a great job of picking out lining/zips to match so thanks for the great service. Yesterday afternoon I ordered some of your wool boucle fabric. The fabric is absolutely beautiful and very realistically priced. Postage was less than other online fabric retailers charge. Elwen served me and could not have been more helpful, polite and cheerful! The fabric arrived in today’s post! Thank you so much for such a wonderful service; excellent fabric, competitive prices, swift helpful service, what more could anyone ask for! I have to say how impressed I’ve been with how quick and easy you’ve made ordering both the samples and the fabric. I won’t hesitate to order with you again. hi, just to say my fabric arrived, and just wanted to complement such excellent service. I have ordered fabric from elsewhere on line and have always had problems with things not being in stock or it taking ages to actually arrive. plus I like that I have to actually ring up and speak to someone rather than just clicking a button to buy, it makes it easier to check what I am ordering is what I want. I would like to thank you for your great service…The fabrics are lovely. It was a pleasure to work with them and the result is so nice 😉 I am very happy that I found your online store with such amazing range of beautiful fabrics! Thanks so much my fabrics arrived today and they are lovely. The colours are perfect, they match up very well with what was shown on your website. I can’t get stretch linen or cheesecloth here. I just wanted to write to tell you how absolutely delighted I am with the 4612 Foxy Acrylic faux Fur material I purchased from you yesterday. It arrived this afternoon, beautifully wrapped and just perfect. The lady I spoke to on the phone who took my order was so helpful, polite and really informative helping me order the material and describing exactly how it looked and felt and because of this, made my decision easier and ultimately I am one happy customer! I have worked in retail and graphic design for a long time and it was so nice to receive such a great service and to receive my material so quickly aswell! I look forward to ordering from you again soon. Thank you very much for the prompt response. Great service. I would just like to say a huge thank you for your superb service. I placed an order on Friday morning and it was with me less than 24 hours later. Brilliant! The additional bonus was the packaging which made my fabric even more of a pleasure to receive and unwrap. Have to say I’m still at the stroking and smiling phase with it though! My parcel of linen and trimming has just arrived – less than 24 hours after I ordered it! Now, I call that service! And so beautifully wrapped and ribboned – it felt like Christmas. Thank you so much – I’m sure we will do business again. Just received my first order and wanted to thank you for your amazing service! I found your site by accident after missing out on a Italian Designer dress on ebay which was followed by the defiant attitude that I could make an even nicer one myself J. Used to buying my fabrics online, I was initially put out by the thought of phoning in an order, but wow what a service and you were totally true to your word about helping find the perfect materials for me (which are beautiful)! Then if that wasn’t good enough I received the materials the next day… unbelievable… when you said that I thought you were joking! I telephoned yesterday afternoon to place an order for some fabric, lining etc. I just wanted to send you a quick note to tell you that it all arrived today, beautifully packaged and looking lovely. Just a quick note to say thank you for such a wonderful website and service. Parcel arrived Weds- so fast. Much appreciated, and now off to \’make something\’. Just a quick note to say thank you, what a pleasure to do business with you. Yesterday morning I telephoned and placed an order for four lengths of fabric and they arrived this morning. The quality of the fabric is superb, excellently packaged and promptly delivered. Very many thanks, I know what I shall be doing this afternoon! Many thanks for the fabric which arrived today. As always -very prompt service and a perfect colour match! I just have to say congratulations on the best ever collection of fabrics. I don’t need any but can hardly contain myself! Wednesday of…/Miércoles de… | My Cozy Co.